An Italian entrepreneur has arrived in Sunderland as part of a cross-border exchange programme to learn about brewing and launch a new beer in the city. Gianni Lombino is working with Sunderland-based organisations, Darwin – a micro-brewery, and Brewlab – a training and scientific analysis provider for the international brewing industry. He has been working with the organisations for three months to broaden his knowledge of brewing in the hope of one day opening his own brewpub in his homeland of Sicily. He embarked upon his entrepreneurial journey by taking part in the Erasmus for Young Entrepreneurs Programme, which offers those in the early stages of starting a business the chance to spend one to six months working in a European business. The North East Business and Innovation Centre (BIC) in Sunderland is a UK contact for anyone wishing to take part in the programme and the BIC matched Gianni with Darwin and Brewlab. The programme has provided a way for Gianni to broaden his horizons and develop the beer with Brewlab’s support, as well as learn new skills, whilst it has given Brewlab the opportunity to showcase their ability to fast-track a successful beer to market. 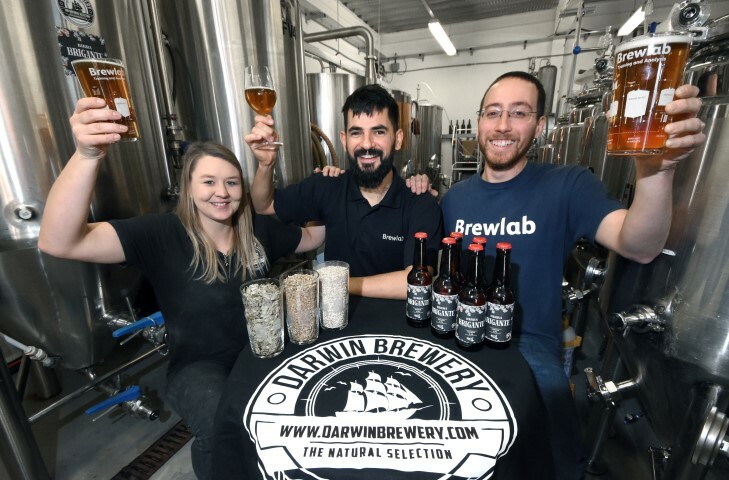 Darwin has already received orders for the beer from some popular Italian restaurants on Wearside after impressing the restaurant owners at a blind taste-testing experience last month. Senior Manager at Brewlab, Daniel Vecsey, whose team have been supporting Gianni throughout the project said: “We were excited to get Gianni on board to help us design an Italian-style craft beer for many of the region’s Italian restaurant owners, who – I’m delighted to say – have already placed orders to have the beer in their restaurants. “Part of Gianni’s tasks involves taking the beer to market so he invited some of the region’s restaurant owners to a blind taste-testing experience – it was a bit like the beer X-Factor! “The testers rated Gianni’s beer as their favourite ahead of major brands like Peroni and Moretti and the feedback we received allowed Gianni to perfect the recipe. Gianni said: “I’ve always wanted to get involved in brewing and the Erasmus programme has allowed me to gain the marketing and technical skills I need to succeed in the brewing industry. The beer, which is called, ‘Birra Brigante’, is set to feature in some major North East Italian restaurants, having been tested by the owners of Angelo’s, Volare, Mamma Mia, Gabriele’s, Marcello’s, Mamma Italia and Luciano’s – who have all ordered the beer. 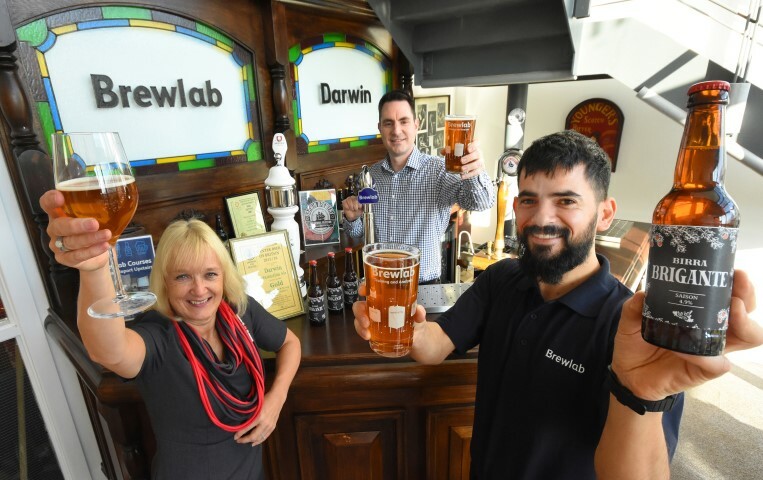 Gianni added: “I’d recommend the Erasmus programme to anyone who is interested in developing their business idea and I’d definitely recommend Darwin and Brewlab as a host for similar projects. “I’d like to thank the team at Brewlab, especially Dave Smith and Julio Romero Johnson, as well as Victoria Thomson of Darwin for their continued support in commercial brewing. Interested in the Erasmus for Young Entrepreneurs Programme? For more information, please contact Louise Hardy on 0191 516 6170 or email louise.hardy@ne-bic.co.uk.